A sanctuary for the senses, Champaka Spa features a comfortable lounge area and three private treatment rooms for sessions of personal rejuvenation. 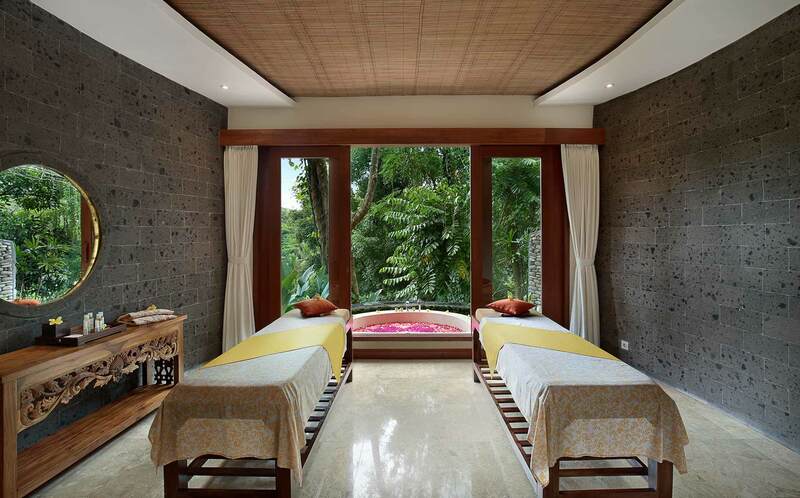 Champaka Spa offers a detailed menu of nurturing body and beauty rituals based on Bali’s timeless healing heritage. Our Yoga Pavilion is a multi-functional structure with chunky bamboo columns and a traditionally thatched rooftop. It provides a quite space to sit and clear your mind. There are comfortable floor cushions, simple seating arrangements and a small library of reading materials.